UPA Corporation Berhad had its early history since 1975 with its humble beginning in general printing. Today it has since diversified into various activities with all the divisions involved being placed under the parent company – UPA Corporation Berhad. 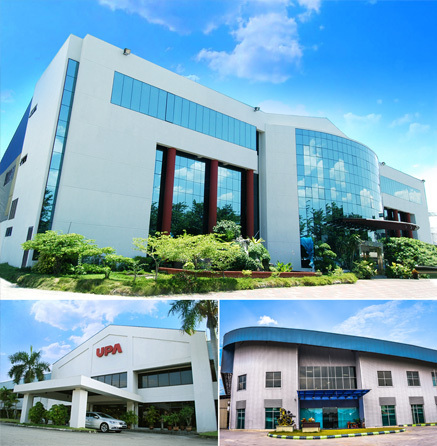 The three main subsidiaries and the related activities are UPA Press Sdn Bhd which is involved in manufacturing of diaries and other paper related products; UPA Machinery Sdn Bhd as sole agent for Komori, the Japanese leading brand of printing machine and also active in reconditioning and refurbishment of used printing and printing related machine, while Macro Plastic Sdn Bhd is engaged in the manufacturing of packaging material in rigid films. The Group currently employs approximately 600 employees in total for all three divisions. The modern and state-of-the-art manufacturing facilities are housed in four different factories. Two of the factories located in Kuchai Lama, Kuala Lumpur with a total floor space of 170,000 square feet are supporting the division in manufacturing of diaries and other paper related products, while the other two divisions are operating in another two factories in Seri Kembangan, Selangor with a total combined floor space of 150,000 square feet. Today, the Group is locally recognised as the industry leader in all three business activities that it involves. The Group had also long ago established itself in the international market. With the support of innovative research and development and extensive marketing strategies, the Group is striving to serve its loyal customers better and to penetrate into larger market locally as well as globally.